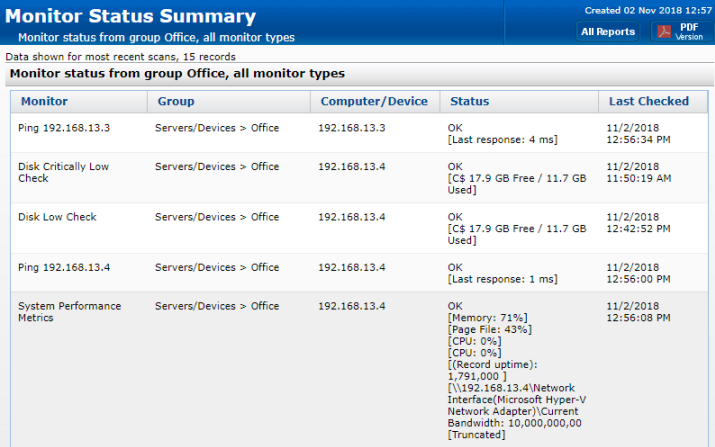 This report lets you quickly see the current status of a set of monitors you define. You can choose to see all monitors that are in error, or that have a specific status (those in Dependency Not Met for example), or even a specific monitor type. The filters will work based on monitors that are within a specific group that you select.